Copyright reform will make the internet fair and sustainable. IMPALA responds to Wyclef Jean. 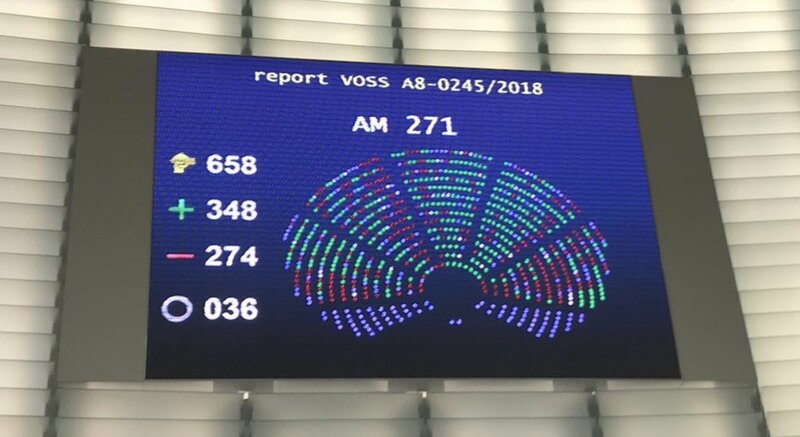 Young artists, he added, would suffer if the European Parliament adopts the copyright directive when it votes on September 12. As executive director of Impala, the Independent Music Companies Association, I represent the independent music companies and self-releasing artists who account for 80 percent of new releases in Europe today. We are strong supporters of the European Union’s effort to update copyright laws for the digital age. But nobody in our community is suggesting “tearing down the internet.” What we are asking lawmakers to do is to make sure that it works for everyone. "Platforms are essential, but they also take an approach that is typical of incumbents who are afraid of change". Impala is the first to recognize that, in the online world, whether professional or amateur, everyone is a creator. The posting and sharing of music, memes and other user-generated content is vital. They are the soundbites and commentaries to our everyday lives. As independent companies, we also embrace the fact that creators and citizens enjoy a unique relationship online. Indeed, we have made that part of our business model. In 2001, Impala concluded a licensing agreement with Napster, when it was the world’s second most recognized brand. In 2008, the independents created their own music licensing agency to make sure their music is available to all services from a one-stop-shop. We have completely embraced the user-generated model, and we see YouTube as a key partner, for all artists, established and emerging. This allows fans and artists to exchange on a completely different level, which is great for the independent sector. Some 80 percent of our members’ revenues from YouTube is material uploaded by fans, not official content. At the same time, there are serious issues that need to be addressed. One of these is the so-called “value gap” — the vast difference between the economic value produced by a work of art or music and the actual money that trickles down to its creator. But copyright reform is not just about money. We also need to rewrite the rules of engagement online. Currently large tech companies claim they bear no legal responsibility for the unlicensed use of material on their platforms. That’s simply absurd, as well as unsustainable. Then there’s the issue of concentrated power among a few big tech companies. What can independent producers do when their favorite internet service makes it clear during negotiations that their ultimate message is “if you don’t like it, I can take your music down”? Impala lodged an abuse of dominance complaint against YouTube in 2014. The reality is that platforms are essential, but they also take an approach that is typical of incumbents that are afraid of change. "All artists are born equal. It’s Europe’s job is to make sure that means something in the online world". The EU’s copyright directive would make much-needed changes in the structure of the music industry. Fans will be able to discover, share and enjoy more music. Licenses will automatically cover their uploads. Meanwhile, artists will have a say and capture more revenue, no matter how big they are or where they come from. Profit-making online services get a clear set of rules, while Wikipedia, other encyclopedias, open source software and blogging sites are also specifically exempted, along with other nonprofit platforms. There will also be carve-outs for small services. Rules allowing caricature and parody will continue to apply to memes and other uploads. A new complaints mechanism with human review will provide redress to creators and an independent body will allow users to assert their use of an exception. As a result, music companies, which today are solicited more than ever by artists looking for innovative professional partners, will be able to invest more in talent. And freedom of expression, privacy and other fundamental rights will be upheld. With the copyright reform in front of the Parliament, the EU has the chance to help creativity flourish. All artists are born equal. It’s Europe’s job is to make sure that means something in the online world. Helen Smith is executive chair of Impala, the Independent Music Companies Association.